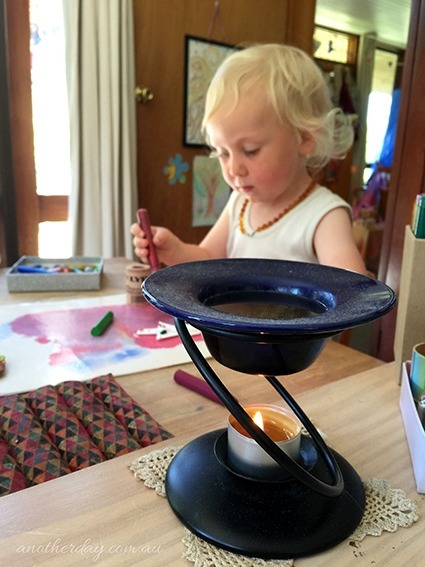 In the centre of our school table is a candle for the children as a tool for focus during lessons. I have a ‘teacher’s candle’ which helps me to bring my focus and mindfulness to our lessons. 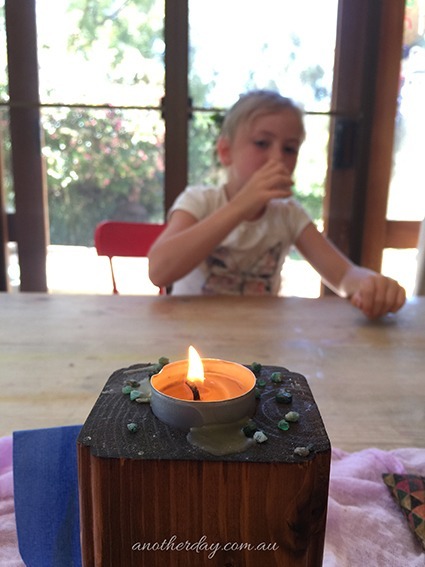 Of course candles, naturally in themselves, bring such a lovely energy to a space and I’ve written before about making our own beeswax candles and why we like to burn beeswax candles in the home through the year. 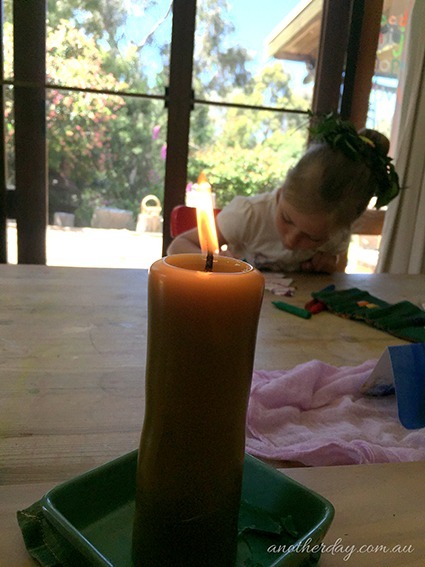 Sitting around the children’s candle is our guiding crystal of the month. We bring mindfulness to the crystal properties and the Archangel associated with that crystal. 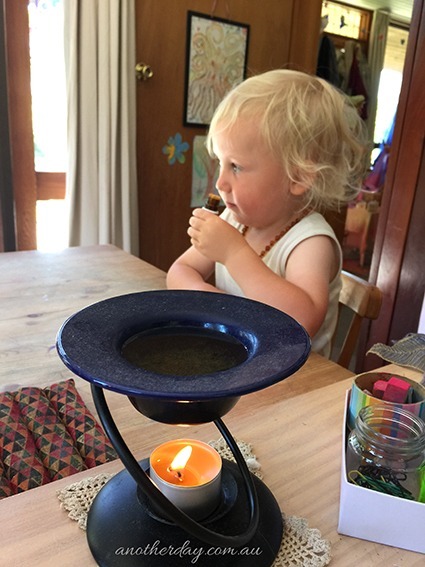 The third element in our school table centre candle trio is an oil burner. 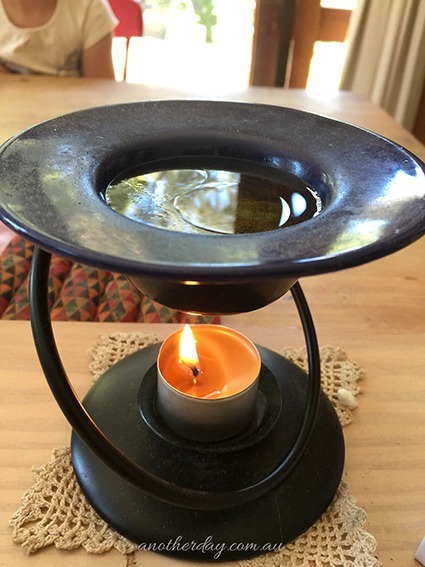 Again, in that post I linked to above, I talk about why we have oils burning in the home daily. 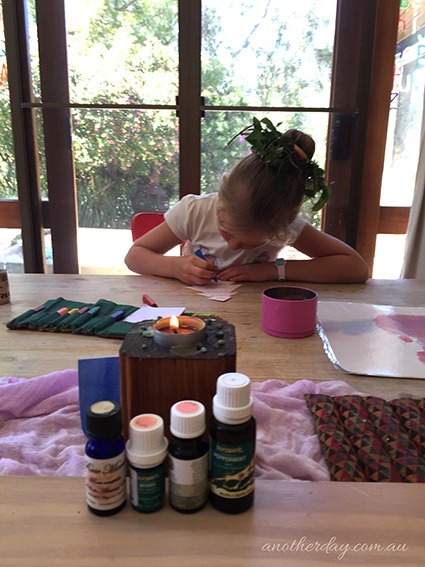 In the school room I particularly like to have oils (sometimes the children have a pre-made blend they have put together in an aromatherapy lesson) that help with concentration, focus and centring. I do have to say that these elements, in my opinion, help wonderfully within the school space as I generally find the children calm, centred and focussed in their time within this space. As November is drawing to a close and December’s crystal will be emerging through tonight to greet the children in the morning, we had a little impromptu lesson as we came to our school table this morning. 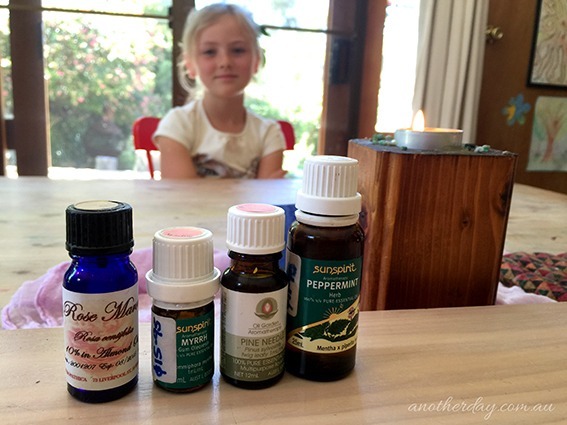 I find Earthschooling’s ‘Kid’s Can Heal’ program wonderful. The lessons and basis for/philosophy behind the lessons are easy to weave into every day life, without them actually feeling like ‘lessons’. I often find these little ‘impromptu’ lessons arise in opportunity through the day when I least expect it. 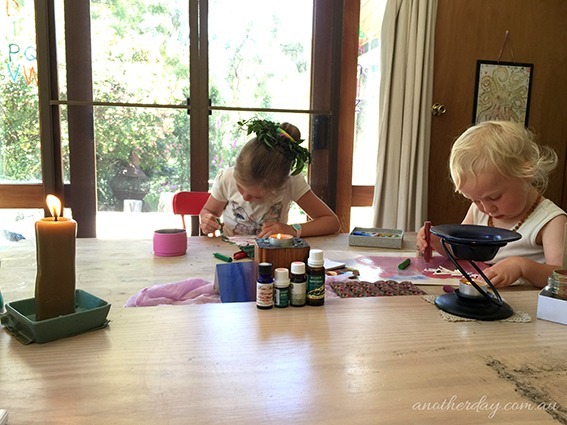 Having the material ‘within’ me, it’s easy to draw on the foundation of those lessons offered in the program, to bring these natural therapy modalities to the children at many moment through daily life. 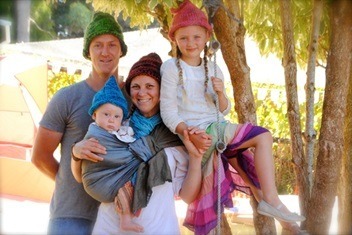 It is an area of passion for our daughter as well as an area of interest for our whole family. • Peppermint – because I love the candy canes that the angels bring! 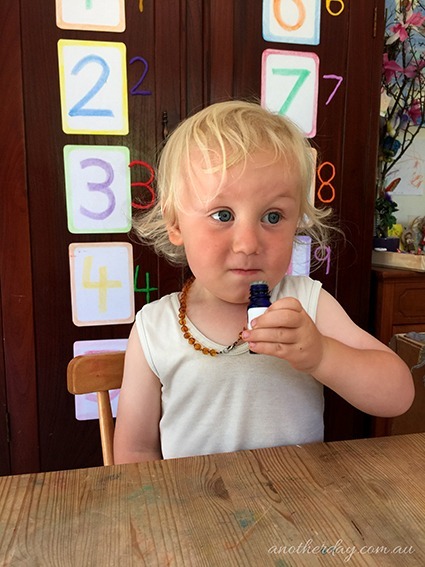 • Rose – Chilli said rose, surprisingly which was one of the oils I had chosen out (and she can’t read the bottle label, it’s in a really hard to read script!). Chilli didn’t know why she thought of rose, she said possibly because the roses are starting to bloom in the garden at this time of year – which I thought was a really lovely symbolism to tie into the Summer season happening around us here in Australia during Advent. I had chosen rose oil because we have a Jungebad oil of Rose-Gold that we have used on Chilli through her early childhood. 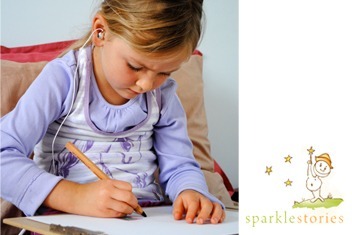 It is beautifully calming and relaxing – great for after bath time when children are getting into their pj’s, particularly after busy or highly spirited days! For this reason, rose and gold seem intertwined to me, so I chose rose to symbolise the gold of the Three Wise Men. Then Chilli and I spoke about the symbol of the roses blooming in our gardens at this time and we spoke about how the season of Advent is like a budding, unfolding rose that blossoms on Christmas Day. We also spoke about how Thumberlina was found in the middle of a rosebud just like a baby is born at Christmas as the rose of Advent unfolds. It was a nice visual, the rose bud unfolding slowly over Advent to reveal the Baby Jesus in the middle of the rose bloom. Quite Grade 1, fairytale realm, appropriate – and it tied the Advent Festival season in nicely to our Nature season of Summer here. We also spoke about how rose-quartz is a crystal of love and the heart and it is one of the main crystals Chilli and Marlin use to create the ring around the stable during this mineral week of Advent. • Myrrh – Having spoken about the gifts of the Three Wise Men, we also brought in the oil of Myrrh. We passed the oils around, waving them back and forth under our nose and spoke about the scents. Are they light, heavy – more of the Earth or Air element. We then also spoke, after we’d smelt them all, about which was the softest and strongest. We lined them up according to this characteristic and then spoke about which oil we’d put more drops of into the burner, and which we’d put less of in. Chilli then suggested the number of drops in a wonderful descending order! Great Grade 1 maths revision! 😉 We added; Rose – 6 drops (this is 10% PEO in a carrier), Myrrh – 4 drops, Pine – 4 drops and then Peppermint – 2 drops. Over the coming weeks as we add these daily, we’ll talk about the characteristics of each individual oil by smelling that oil on it’s own, discuss the properties of the scent – how we feel when we smell it and then the therapeutic properties of that oil. I think we’ll focus on 1 per week, starting with rose in week 1. We might even tie in some of our Herbal Roots Zine work for that plant during our time in our nature walks. 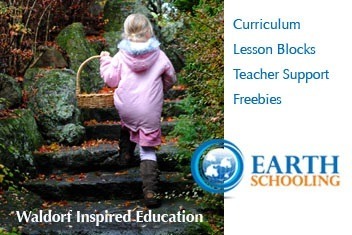 For the program on our monthly guiding crystal and full moon we use the Little Acorn Learning Enrichment guides. I also find the ‘caregiver meditations’ in these guides are wonderful. I researched the information online about which Archangel is associated with each crystal so that we could weave that into our monthly studies as well. What does Advent smell like to you?